Thought I’d share a little of the progress I’ve made on Conway. 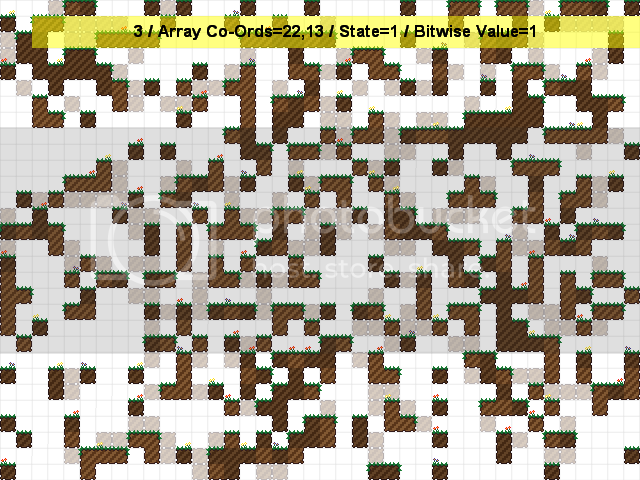 This update is mainly about the Cellular Automata level and added one suggestion from the TIGSource design forum thread. 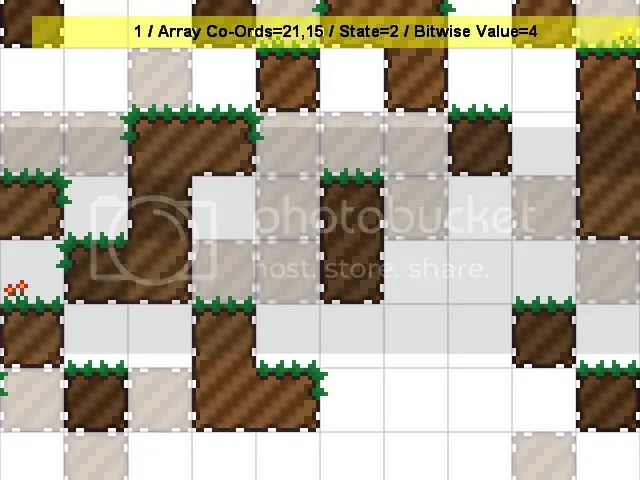 The suggestion was to make it easy for the player to see where and how the level was going to evolve. I thought this was going to be beyond my abilities in Construct, but after jotting down several methods/ideas and plenty of head scratching I managed to get it working as it should. As you can see in the screenshot below. Block with a red outline – This is a block that will die when the next Cellular Automata advances to the next generation. Semi Transparent Block – This block will be created when the Cellular Automata advances to the next generation. Normal Block – This block doesn’t change. It will still be the same block when the Cellular Automata advances to the next generation. While the graphics are a great improvement over the simple black blocks of the prototype I created some time ago, they are still a little bland so I had to either improve the graphics again from scratch or think of a sexier way to display them. I really didn’t want to make the graphics again as I doubt I had the skills to change them too dramatically. Then I remembered a thread on TIGSource’s Technical board that would help improve the graphics without too much editing of them in Paint (yes, OK, stop laughing I use Paint). 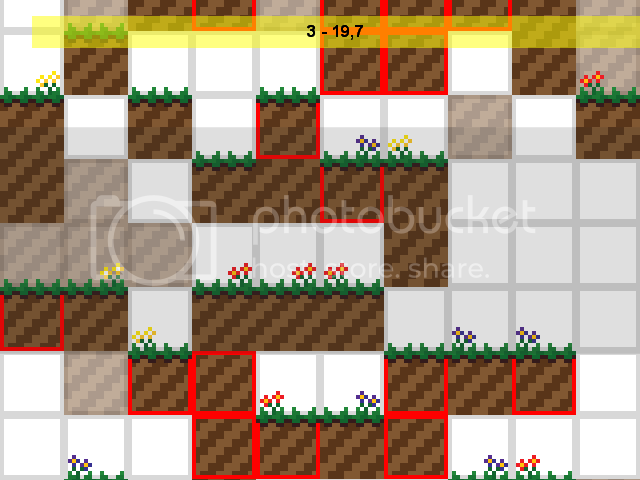 Basically it gives a platform block a value depending on the blocks neighbours. I suggest reading the explanation in the linked thread, it is extremely well written and very useful for tiling levels on the fly. Here are the screenshots of the first generation of a level using the method above. Which I think looks a lot better. Looks a lot prettier doesn’t it. New blocks still appear as semi transparent, while dying blocks are the darker coloured tiles, I may change this but at the moment it still gives the player a good idea of what is going to happen when the level advances to the next generation.